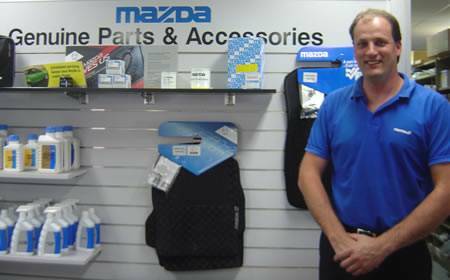 Werribee Mazda stocks every spare part/s you will ever need for your Mazda. Always insist on Genuine Mazda Replacement Parts, Lubricants, Chemicals and Accessories. Werribee Mazda have the latest Electronic Parts Lookup Facility and will have the right part for your Mazda vehicle either in stock or available overnight. Please call us directly on (03) 9974 5600 or simply order parts online by filling in the form on this page and we'll contact you as soon as possible. Mazda Genuine Parts, Accessories, Lubricants and Chemicals are specifically designed for Mazda vehicles. Mazda Genuine Parts, Lubricants, Chemicals and Accessories also provide you with peace of mind as they are covered by our two year/ 40,000km nation-wide warranty. Look for the Mazda logo for your symbol of quality.